U.S. Bank 9' x 12" sign frames attach easily to our tape posts. Black in color, they will hold signs up to 1/4" thick. It features a lift-off top for changes (remove with phillips-head screwdriver_. 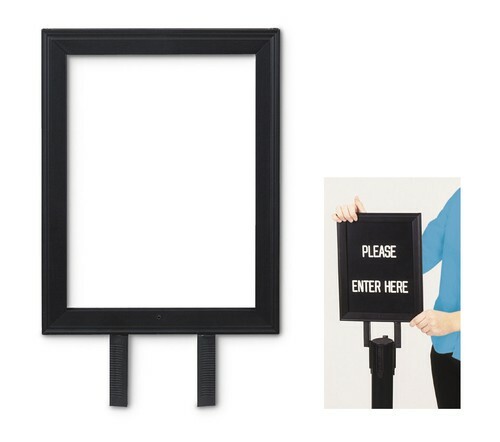 U.S. Bank 9" x 12" sign frames easily attach to our tape posts. Black only.